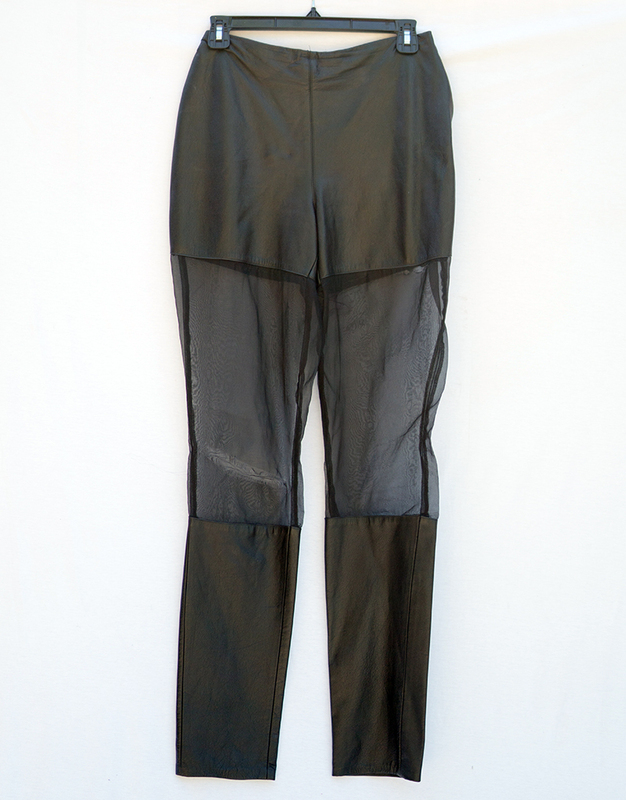 Black leather pencil pants with sheer silk organza panels. Zipper is damaged. Size 2/4.